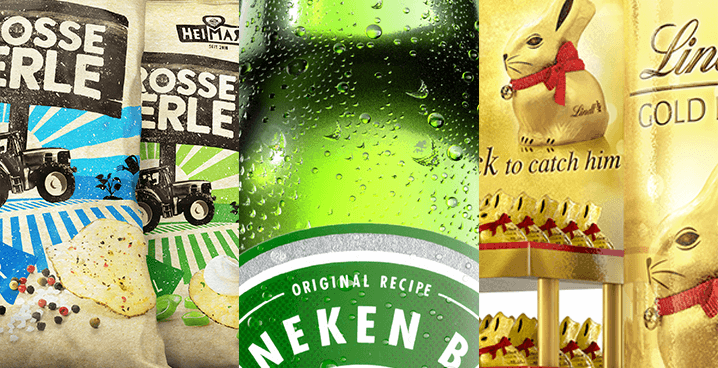 EILKEN Brand Building is a design agency with the main focus on packaging. We create graphic design for various applications. Developing structural designs is another main expertise at EILKEN. To optimize the workflow for our clients we are able to combine structural and graphic design in-house. Since 2014 we work for several clients in the FMCG and healthcare segment. 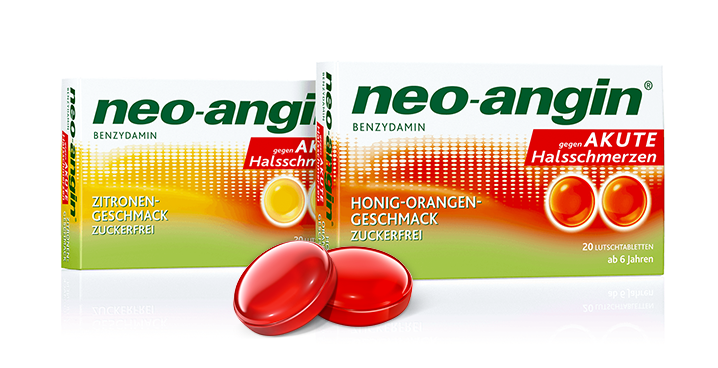 PepsiCo Eastern Europe, Beiersdorf or BSN medical to name a few. 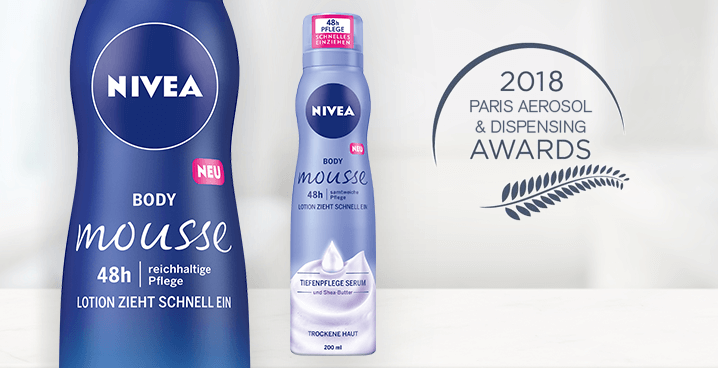 EILKEN is the lead agency for all consumer Brands of the Klosterfrau Healthcare Group. Nicolas Eilken is vice chairman of the German Packaging Award jury and lecturer for packaging design at the Hamburg based Brand Academy. Description: Since 2017 EILKEN is the lead agency for Klosterfrau Healthcare Group. 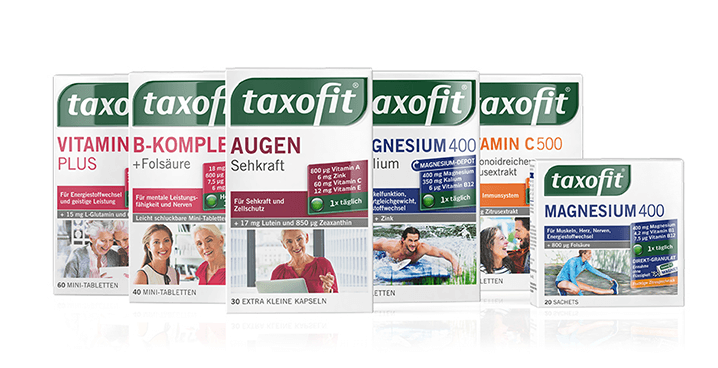 We designed the complete Re-Launch for Taxofit. The brand has a large range of supplementary products in the FMCG segment. Description: The task was to develop an iconic new shape for a product innovation. The key was to create an all around elegant shape while considering challenging technical restrictions. 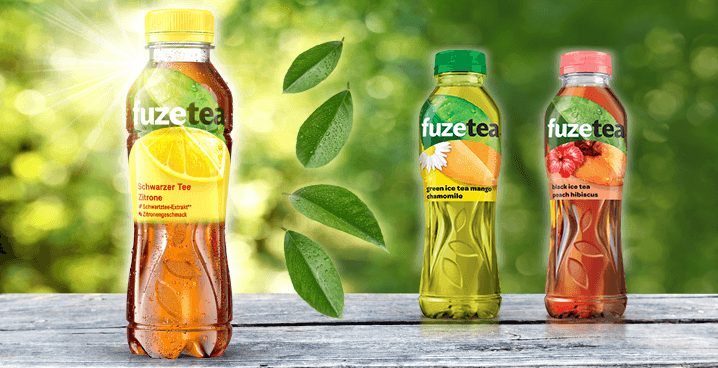 Description: Next to designing an overall appealing bottle shape for the billion dollar brand fuze tea, the main objective was to find a way to combine unique decorative elements with the functionality of the bottle. Challenging technical restrictions for hotfill processes and the ability to run on nearly every production line worldwide leads us to develop innovative and patented “decorative vacuum panels” that smoothly fuses into an unique and emotional iconic shape design. Description: The primary mission was to highlight the benefits and more importantly a new active substance while maintaining the previous appearance. In addition to the Graphic Design we took advantage of our CGI know how to implement a new depiction of the tablets. Description: Samples of photorealistic renderings for various brands and partners.